UTIL0078/AT Finish: Slate Gray Features: -Open under worksurface. -Leveling glides on each leg. Number Of Compartments: -1. Country of Manufacture: -United States. Product Type: -Mailroom table. 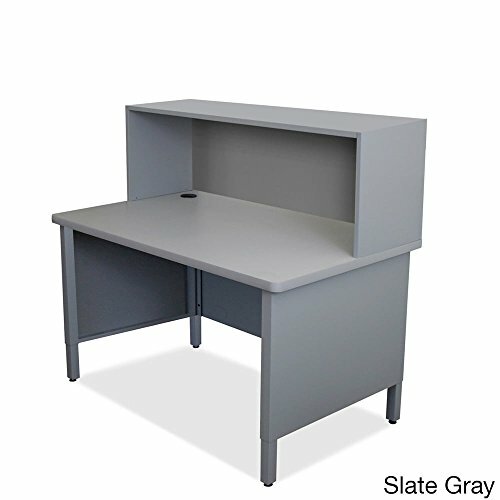 Dimensions: -Riser: 16" H x 48" W x 14" D. Overall Height - Top to Bottom: -52". Overall Width - Side to Side: -48". Overall Depth - Front to Back: -30". Overall Product Weight: -145 lbs.